On the day we were being dismissed from our local hospital, Ryder’s doctor was worried by the sound of his heart. He thought it was a murmur. The more he listened to it he said it wasn’t a murmur. We were being dismissed at noon. The doctor made a call to Akron Children’s Hospital for a second opinion with Dr. Lane. At 1 p.m. that same day, Sept. 24, we had to be in Akron to meet with Dr. Lane. Upon arrival we were taken back to a room where an EKG was performed and vitals were taken. Next we were taken to a room to wait and then to have an Echo done of his heart while waiting patiently until Dr. Lane looked over the test results. When he came into the room Ryder’s grandma straight out and asked if this was going to require open heart surgery. He said yes. The tears started and we all were worried what was going to happen next. He diagnosed it as Tetralogy of Fallot, which is very uncommon in children Ryder’s age of 3 days old. Over the course of several months we had to take his pulse ox and watch him closely. They didn’t want his oxygen level to drop below 70%. Up until Dec. 15 he was doing ok, living a normal life. Then he took a turn for the worse. His pulse ox had dropped to 50%. We rushed him to our local ER where they immediately put him on oxygen and made a call to Akron Children’s Hospital. Air Bear was being sent for him to be transported right away. 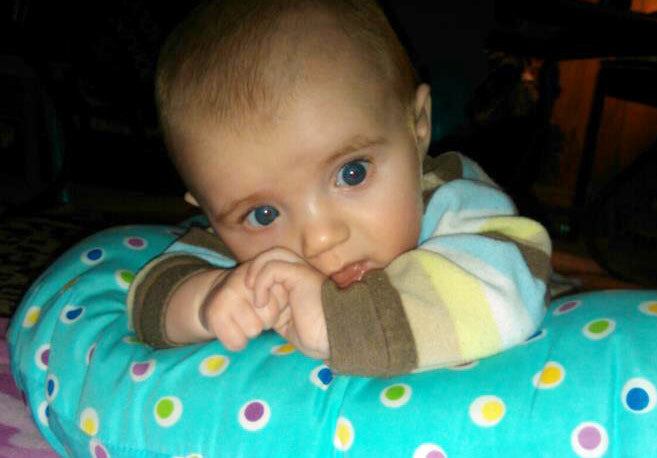 In Akron, Ryder was placed in the PICU where the room was full of doctors and nurses. Tests were run plus blood work, and other tests. They said he would be in the hospital till he was 4 to 5 months old. Around the time of when they wanted to do his surgery on Dec. 20, Dr. Smith, the heart surgeon, said Ryder’s surgery was going be done today. They said Ryder is telling them he was ready. Around 12:00 that afternoon he was taken to surgery where they said it would take 6 to 7 hours. They would have someone update us on his progress. Around 6:30 or 7:00 that evening we got to see him back to the PICU. All the tubes and wires that this lil guy had coming out of him made me very nervous. They had a nurse in his room 24/7. He was taken off his breathing tube Christmas Day. That’s all we wanted for Christmas – Ryder to be healthy and on the road to recovery. He spent two days on the 6th floor for observation and on New Year’s Eve Ryder was released to go home. As of now we still have to have monthly checkups. He is now 5-months-old and is doing really well. He is right where he should be for his age. 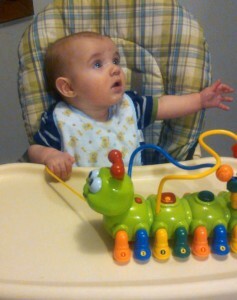 He is rolling from side to side, sitting up with support and he is a king at eating. The whole staff, including Dr. Lane, Dr. Smith, Dr. Spector, the Air Bear crew, we would like to thank you for all that you have done. Ryder is our miracle baby.